Cauliflower Filled Chappathis | Gobi Poratta Recipe. Hey there ,another recipe from jesni's kitchen.. hope you will try my recipes.. share with your friends and relatives.. In a mixing bowl, add whole wheat flour (Atta) and salt. Sprinkle water and knead it to soft smooth dough. Wash and chop the cauliflower florets. Add water to a pan and boil it. Drop the cauliflower florets with a pinch of salt and turmeric powder. Rinse in running water and place it on kitchen tissue to remove excess water. Now chop it to fine pieces. Add chopped onion and fry till golden. Add finely sliced ginger,garlic and green chilly. Add turmeric pwd, red chilly pwd, coriander pwd and adjust the salt. Give a quick stir and add chopped cauliflower florets. Saute well on low flame for 5 to 6 minutes. When the mixture becomes thick, add chopped coriander leaves and remove from flame. Take two equal sized balls from the dough. Roll each ball using a rolling pin into flat round disc. 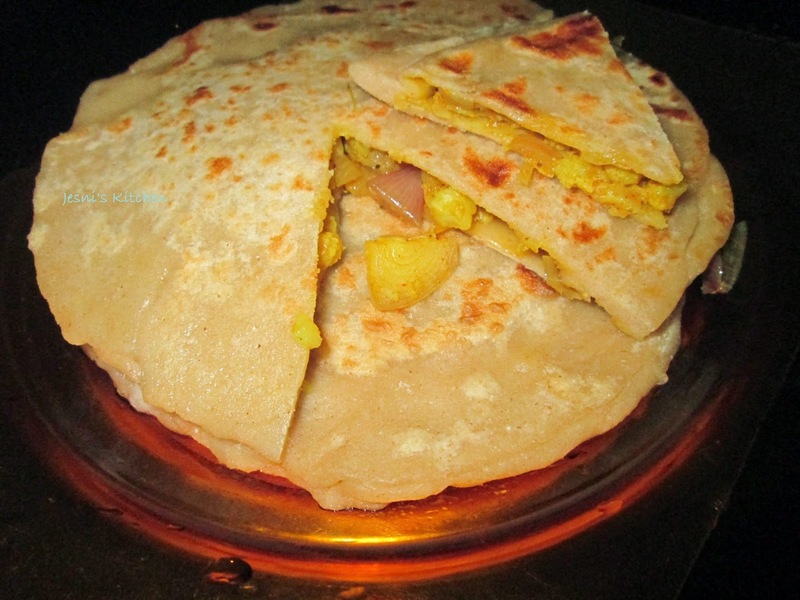 Spread 2 to 3 tsp filling of cauliflower masala on one roti. 4. 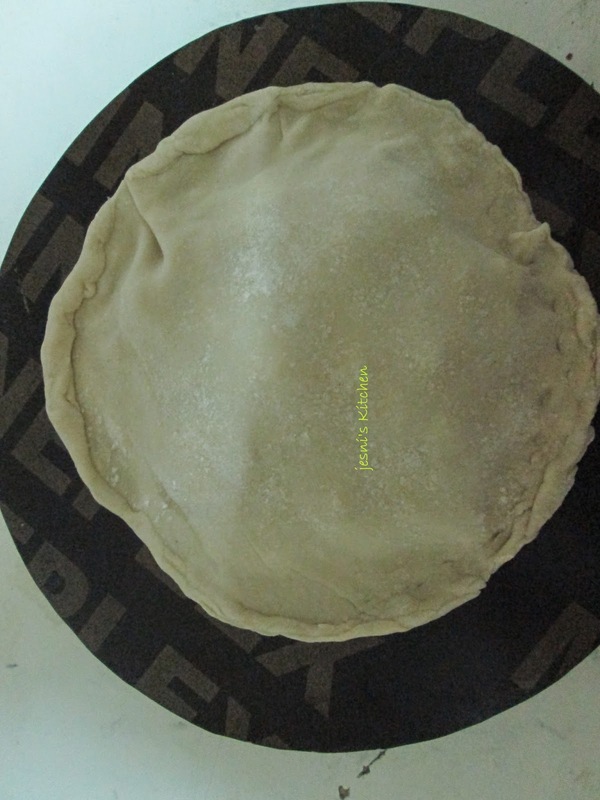 Cover it with another roti and press down the edges to seal firmly. Dust some flour on it and roll out slightly. Transfer the paratha on to the hot skillet / tawa. Cook for few minutes, flipping in between. When both sides turn golden brown.Take it out. Repeat the same with the rest of the dough & enjoy the tasty porotta.